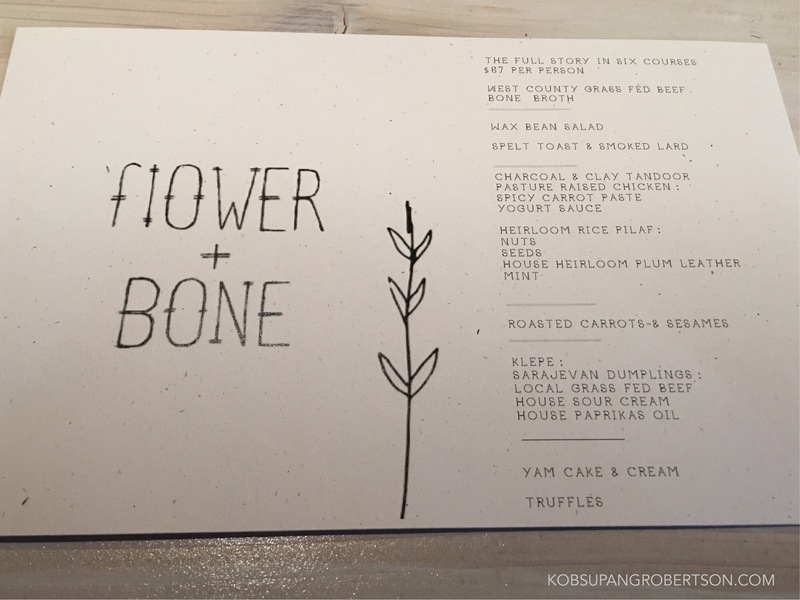 This Friday we had the pleasure of attending the dinner series debut of Flower + Bone. 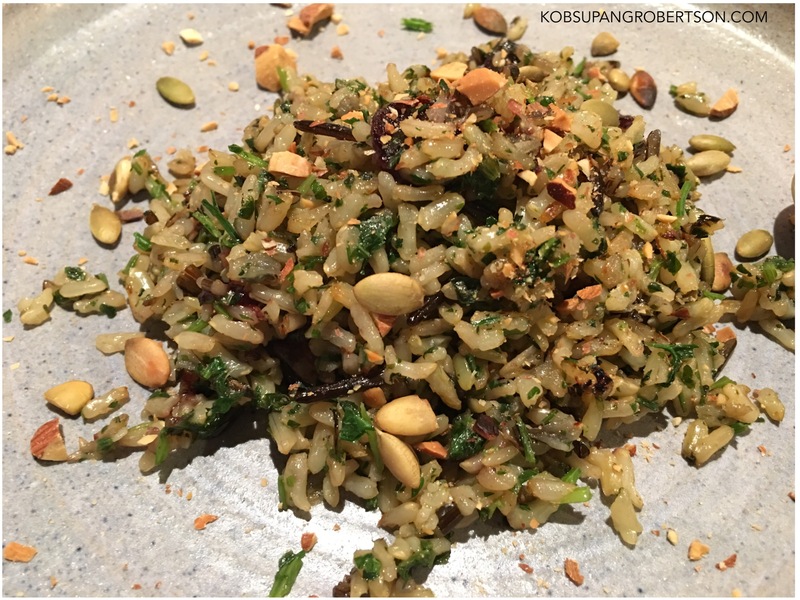 Given that we have been regular customers for about a year to their sister restaurant, Naked Pig, we absolutely trust chef Dalia with her amazing creations. 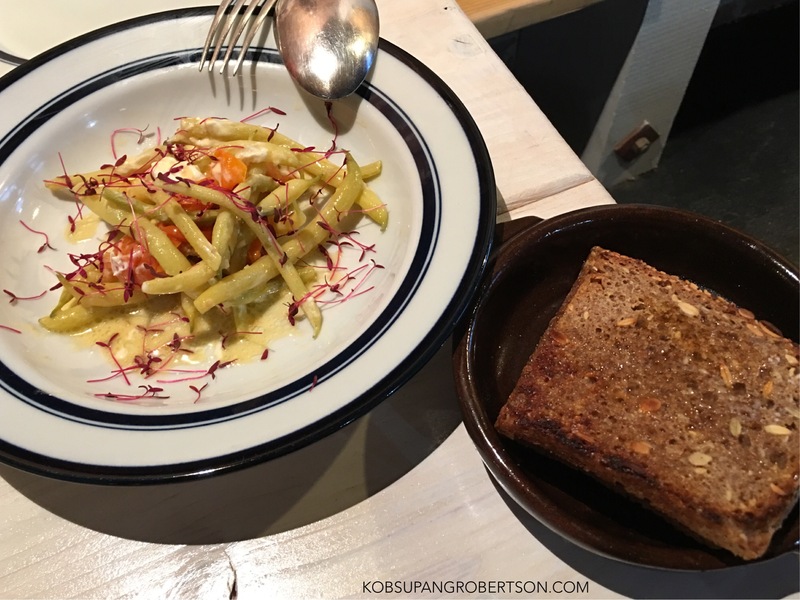 Like Naked Pig, Flower + Bone sets their tables in the style of community seating, so my husband and I shared our table with another lovely couple. 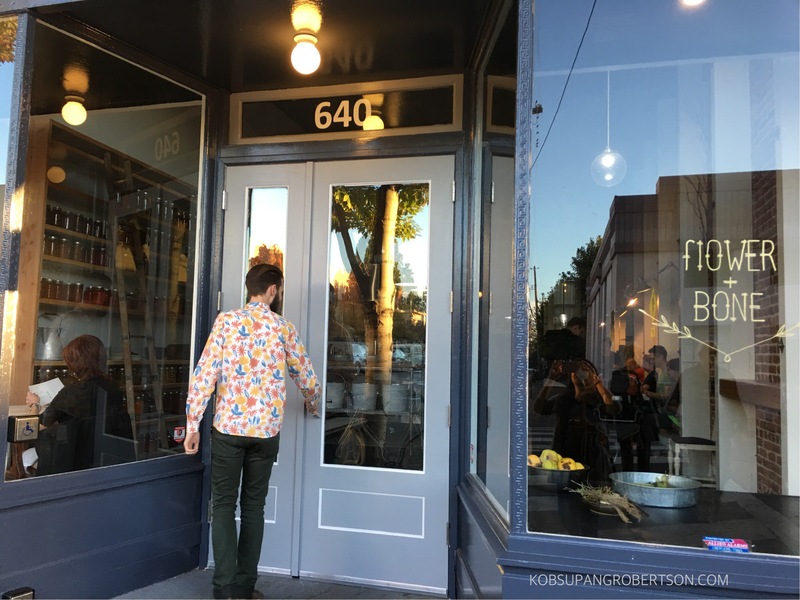 Each setting features a single menu highlighting their entire selection of handmade, unique, and small batch items. 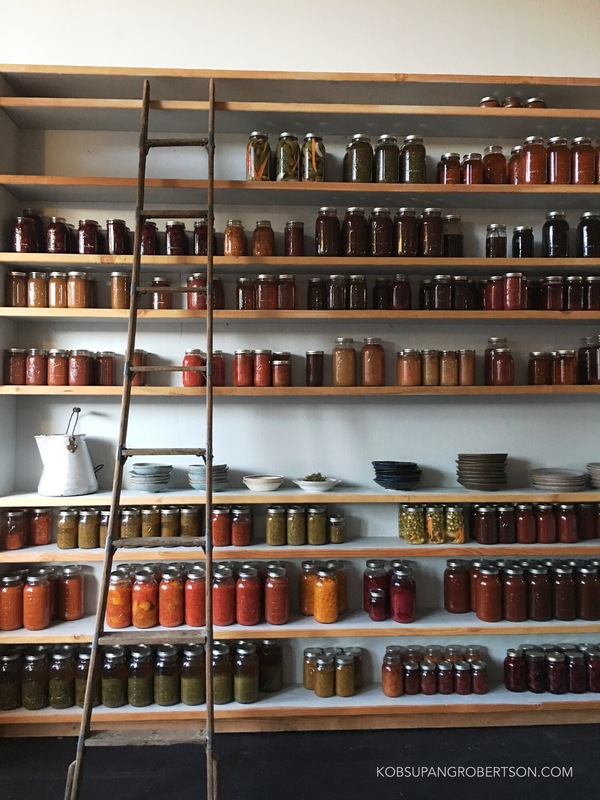 We decided to go all out and order the “Full Story”: A six-course dinner series spotlighting the creator’s aim at a marriage between art and food. 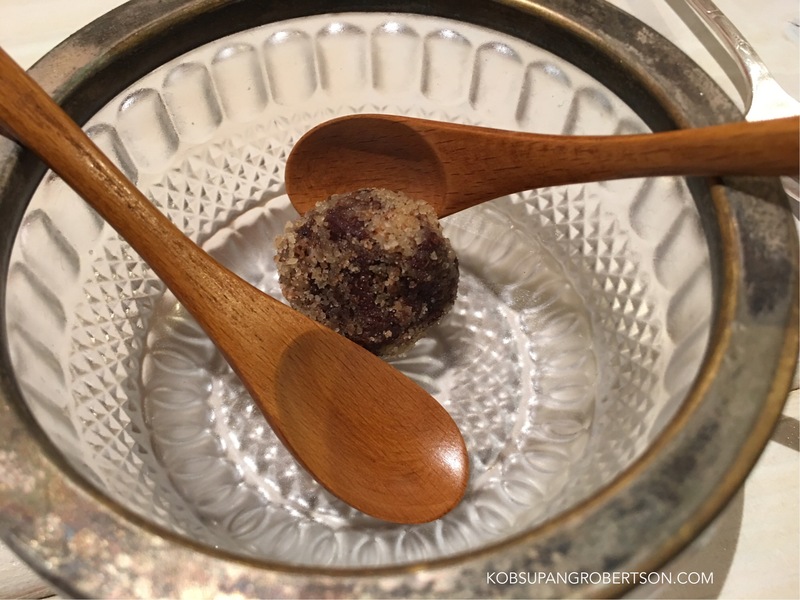 At the server’s recommendation, we started with a cocktail of fig leaf syrup, coconut, and soju. The taste was very similar to a Piña Colada, but with a small kick of spice. We followed that with the first course, the West County Grass Fed Beef Bone Broth. 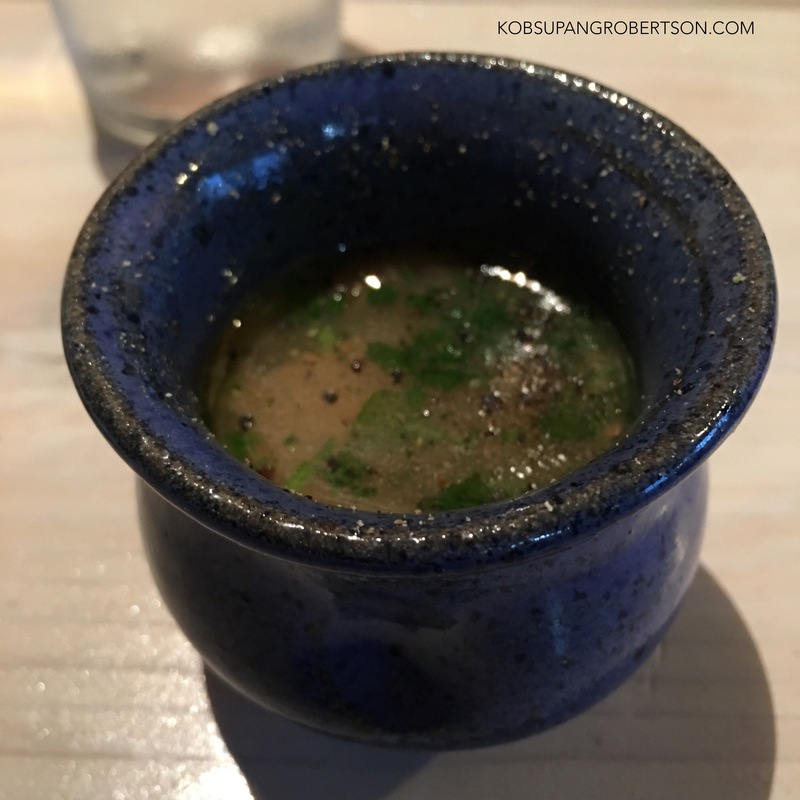 The broth is served in a small handmade cup (each with a personal indentation). 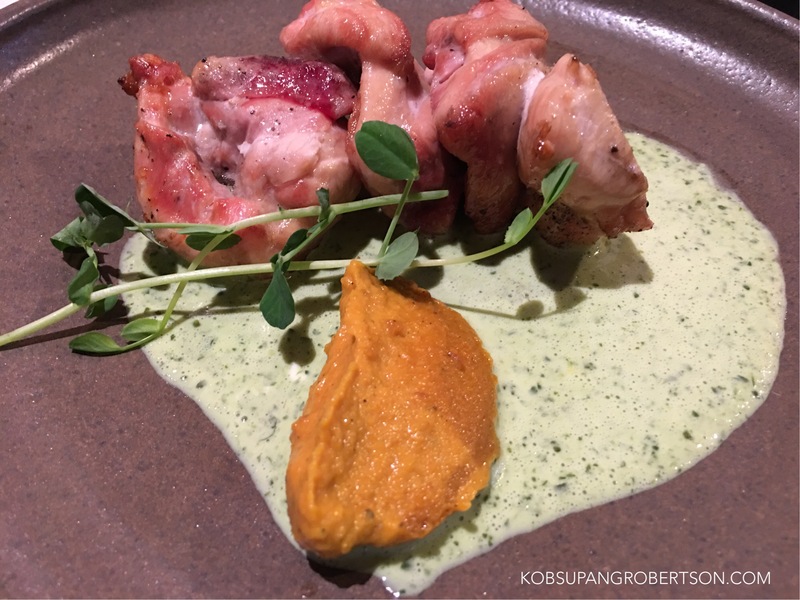 Many regulars will recognize the base of the flavor as reminiscent of their Pork Fat biscuit and Bone Broth Gravy that they serve in the Fall at Naked Pig. 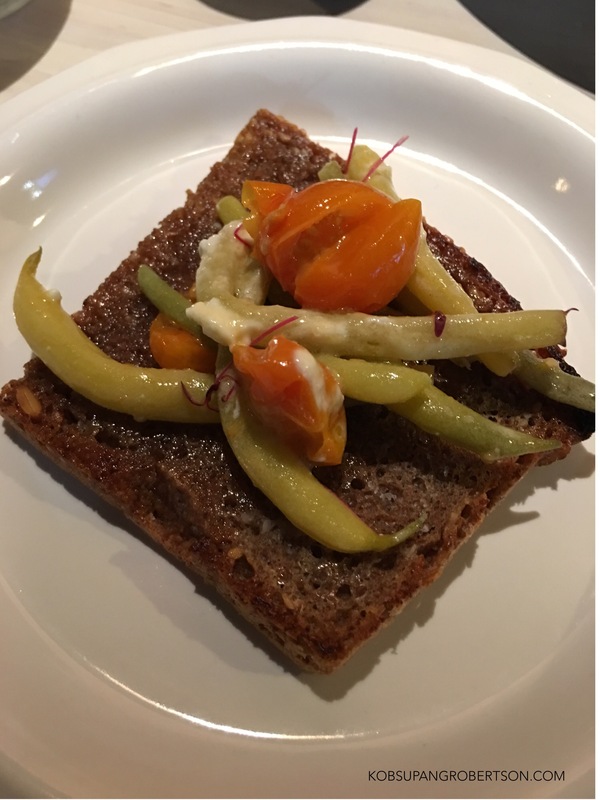 The next course was one of our favorites of the night, Wax Bean Salad and Spelt Toast & Smoked Lard. Using the salad as a spread for the toast is truly inspired, as they both compliment each other very well! Next (our next favorite from the menu): Charcoal & Clay Tandoor Pasture Raised Chicken, spicy carrot paste yogurt sauce, and heirloom rice pilaf. Let me tell you, this one blew my mind— absolutely went beyond my expectations. The chicken was very tender and it tasted so delicious with the rice pilaf. They kept impressing us through the night with all these great selections. 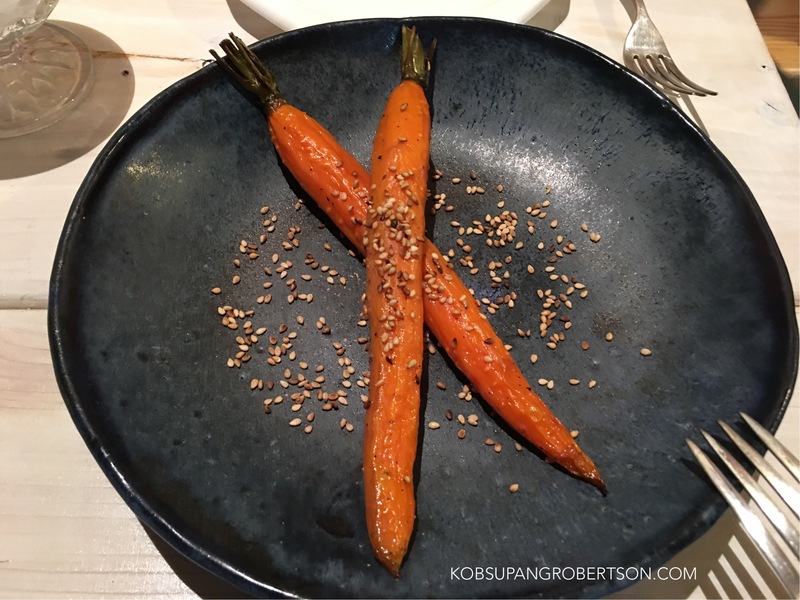 Roasted Carrots & Sesame came after and they tasted great as well. Last but not least: The Klep Sarajevan Dumplings. I’m going to be honest, this dish I am not really a fan of. 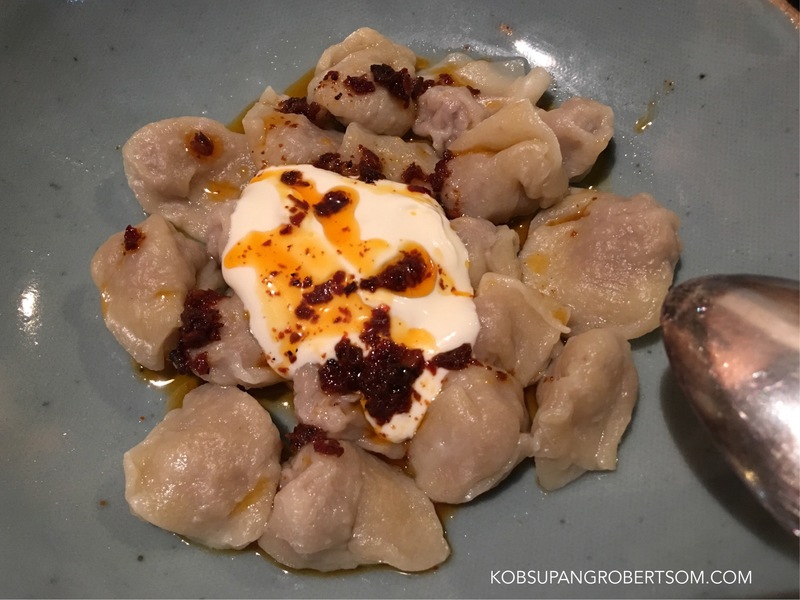 The dumplings tasted quite dry, the flavor of the beef seemed mute, and the sour cream only complimented the taste of the dumpling enough to give it a consistency that just felt oily. 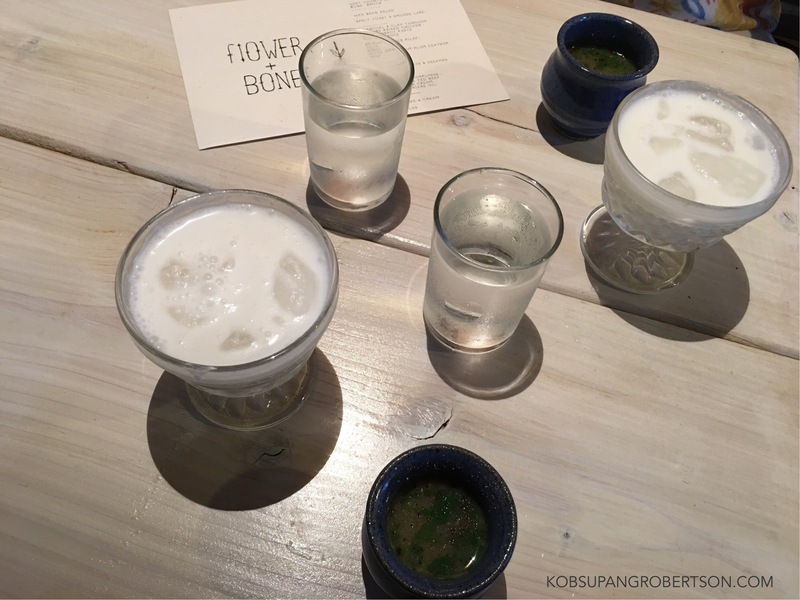 Given that this the first night that they were trying out their menu, I would still give Flower + Bone A+ for their great effort and creativity. 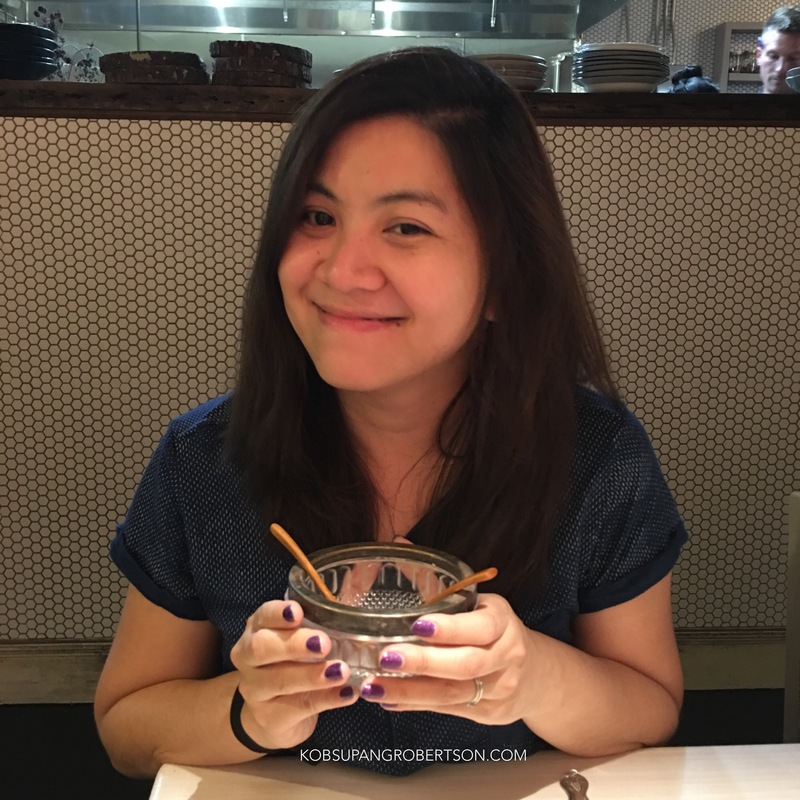 This is their first foray into a dinner selection, and when you try new things not every dish is going to knock it out of the park. I remember having a conversation with Dalia about their new restaurant. I asked her about their dessert menu and she said it would be a couple things but no worries, they would be great. So, I looked forward to seeing what she would come up with. And she did not disappoint, not even one bit! 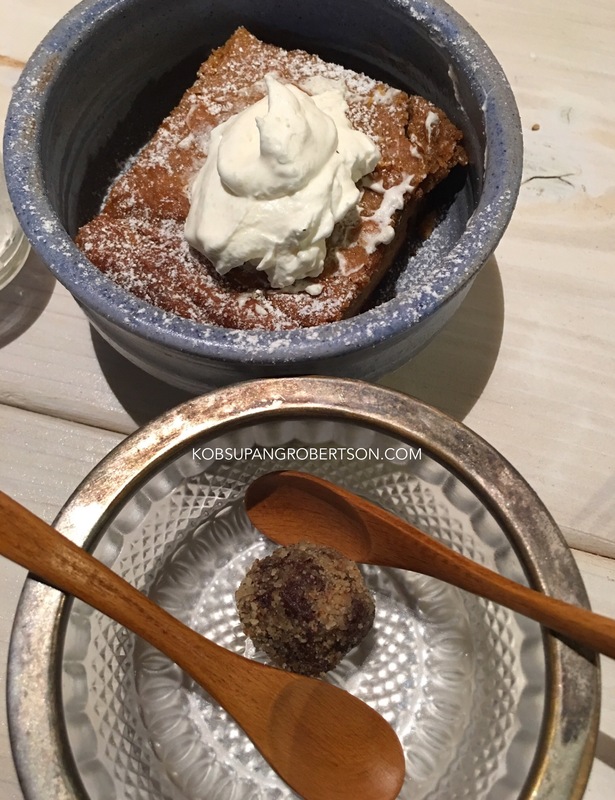 The yam cake & cream was great, but it was even better when we had it with their delicious truffle! By the time that we finished our six course meals, a sea of people waited in line to taste the food. We walked away with smiles in our faces and already look forward to coming back!